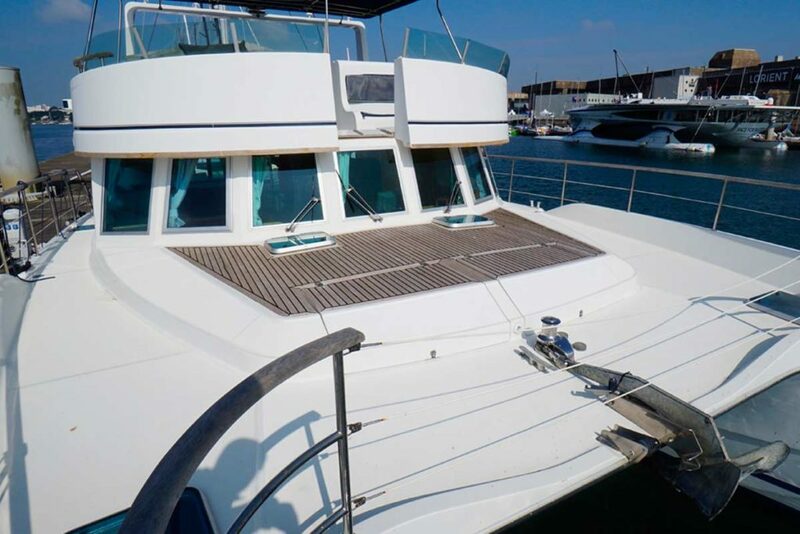 Power Catamaran 15m, model Transcat 48, available with her Captain in Lorient in Brittany as well as on the Atlantic coast. 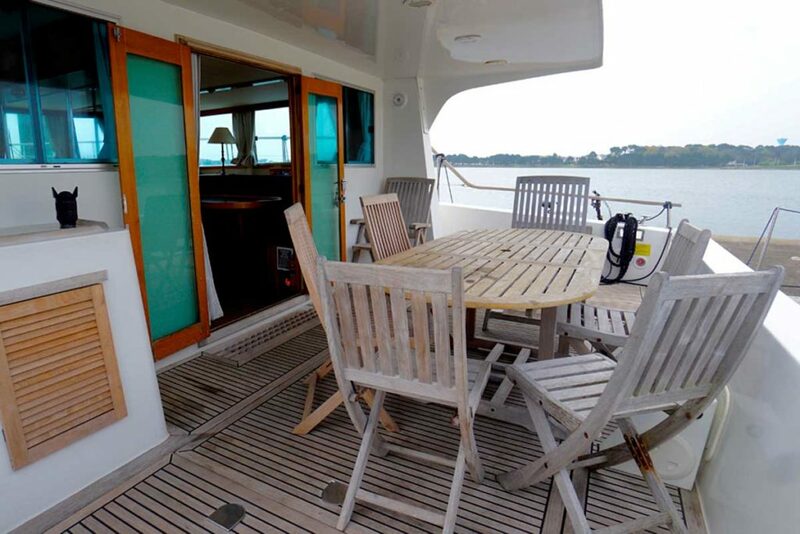 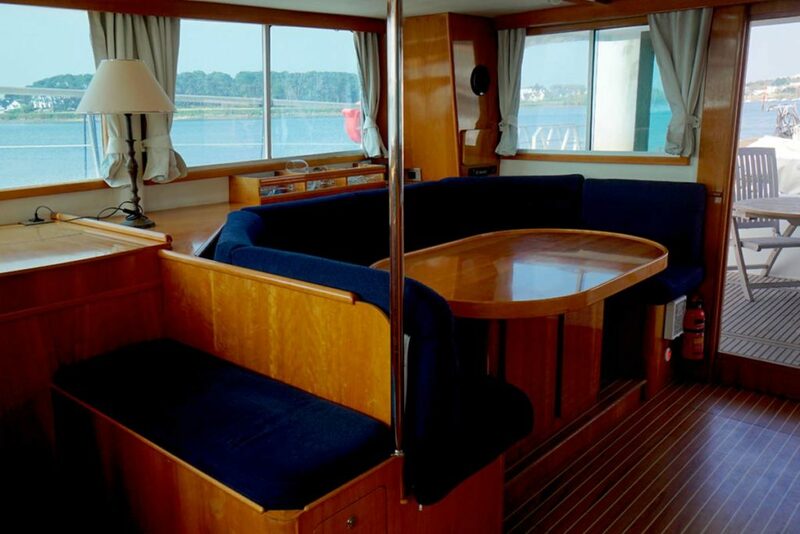 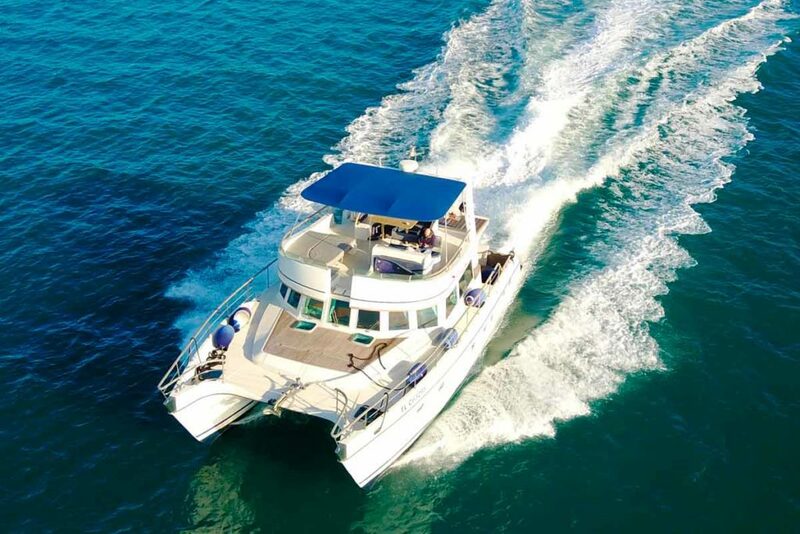 Built in the Alliaura Marine Shipyard, she is ideal for crewed charter in South Brittany for day charter or week-end with friends, but also to invite customers and partners during maritime festivals and offshore races, at sea or at land. 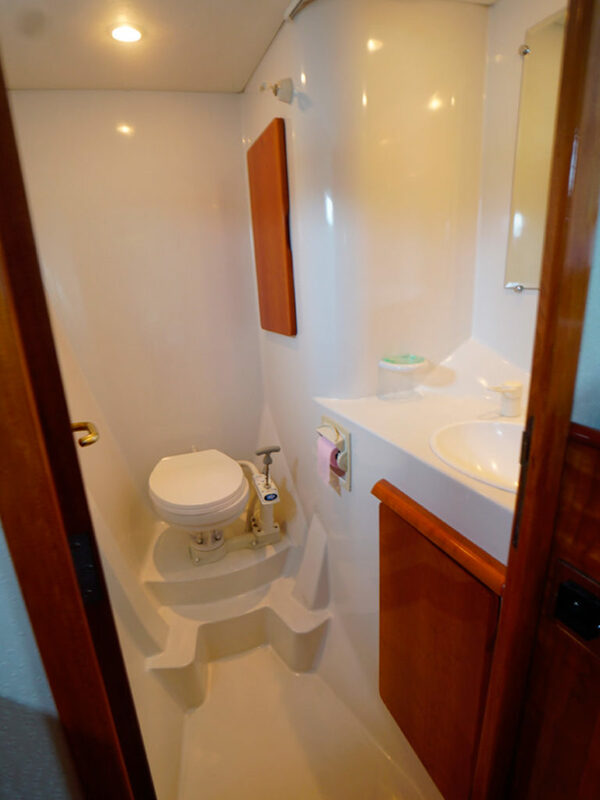 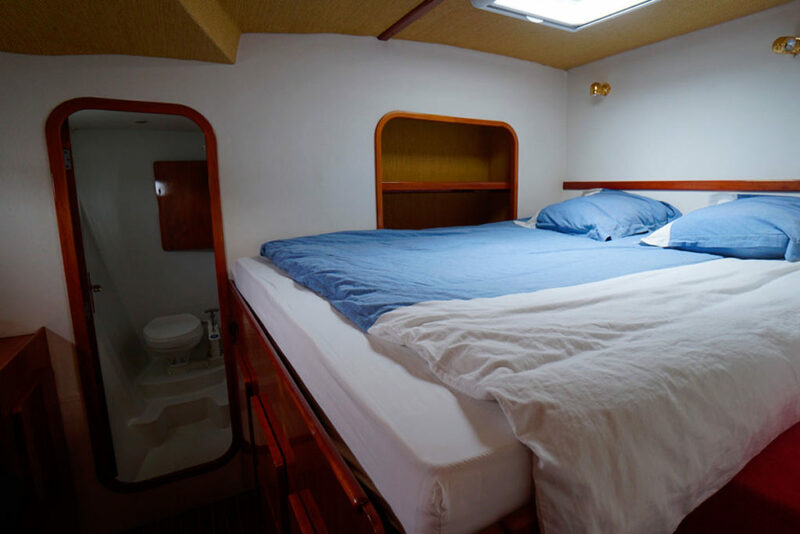 Very comfortable, this power catamaran is a real small apartment with 360° sea views. 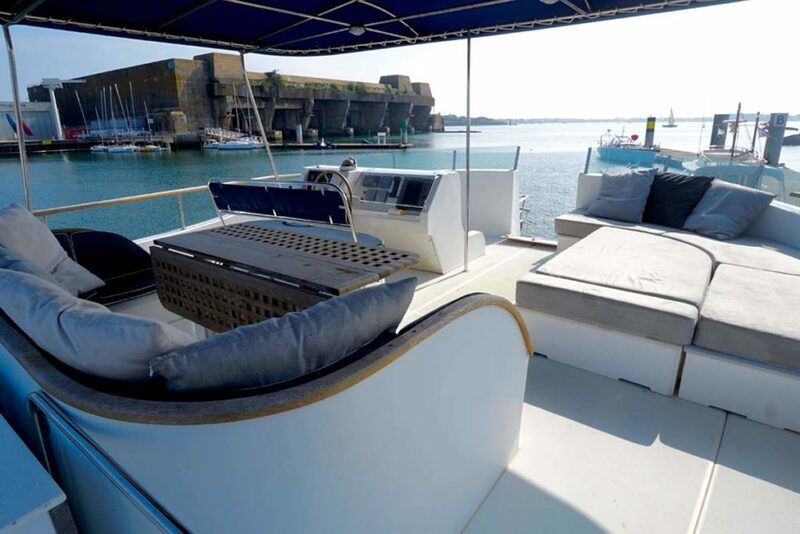 Outdoor life takes place on the terrace, on the flybridge, on the front deck and sheltered under the cap at the back. 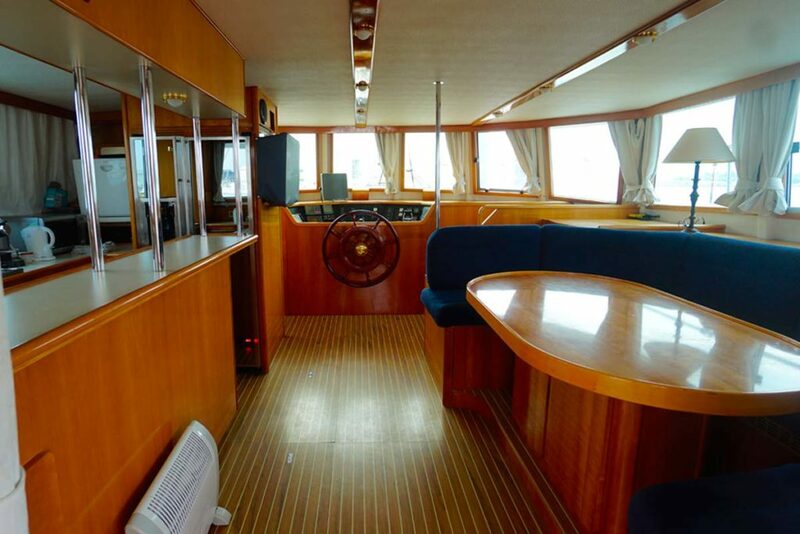 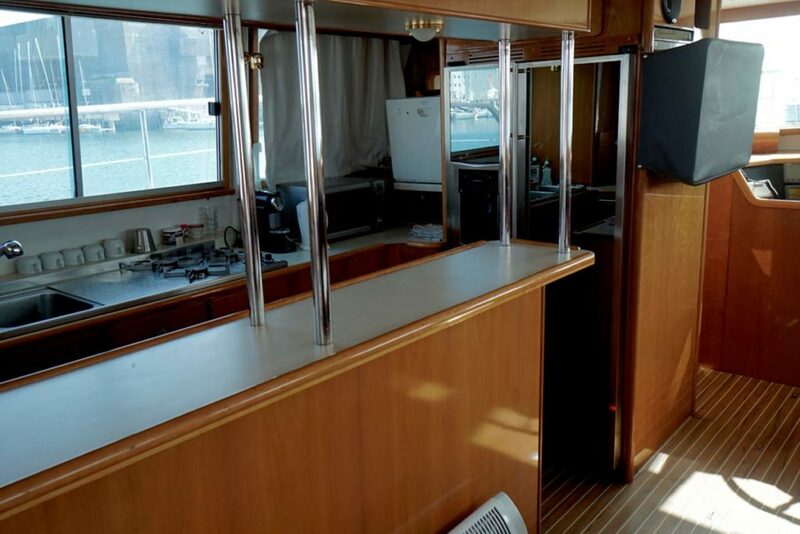 Inside, large square with open kitchen and wheelhouse. 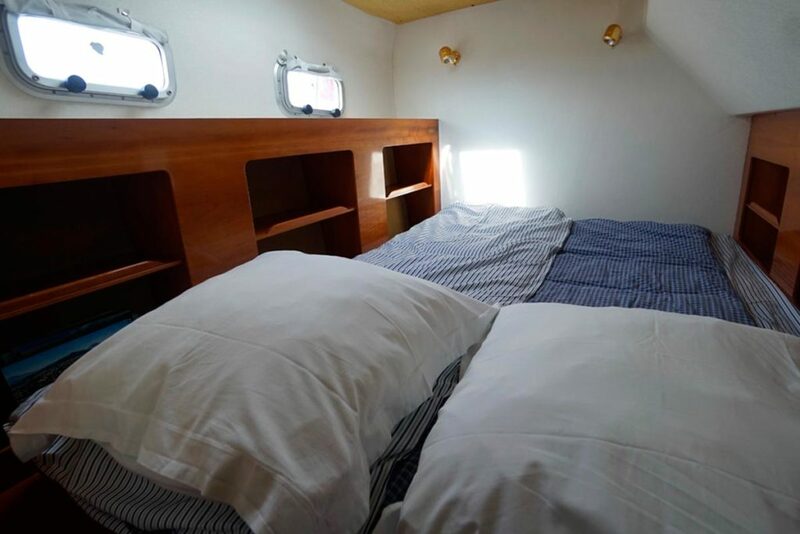 Sleeping in four double cabins, very comfortable, with 4 bathrooms.